SHASHA 50 FOLLOWERS MINI GIVEAWAY! 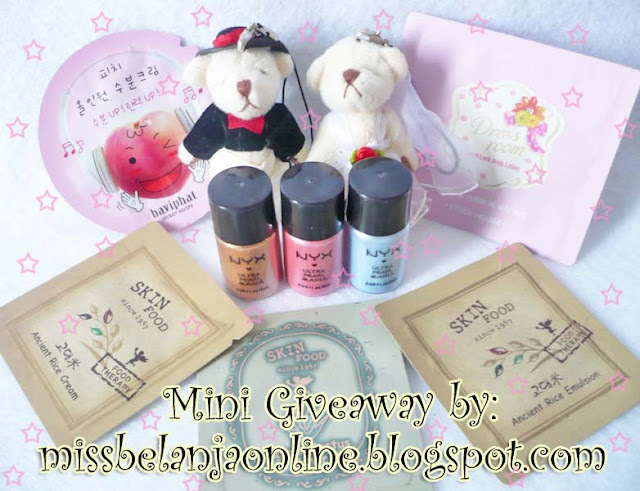 This giveaway is open and valid only for followers/readers with Indonesia address. If you live outside indonesia but you have indonesia mailing address, then you can join. You can join here! Good luck! how to join thia give away? Put your mouse cursor to the word "here" and click it. then it will brings you to the giveaway link.